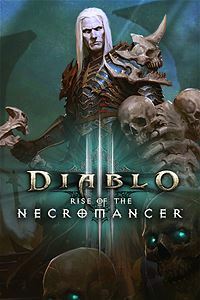 1) The new class is a necromancer. In the guise of a priest or priestess of Ratma, you have to command hordes of rebel dead and sharpen your skills in the dark arts. 2) 2 additional character cells. Never hinder to have more battle-hardened heroes! 3) 2 additional cache tabs. Your magnificent collection of weapons, armor and equipment for all the characters will become even richer. 4) Wings of the crypt keeper. Any of your heroes can get wings from a deadly essence. 5) The new pet is half-naked. Summon the half-hegemony on the battlefield to collect gold from defeated opponents. 6) Emblem, flag and banner form. Fight in the mortal world under the banner of the Order of the Necromancers. Please do not forget to leave feedback after using the key. This helps you not only me, but myself - you will receive a bonus card, the points with which you can use for the subsequent purchase of any of my goods, and, leaving a tip, you help other buyers to make the right choice!